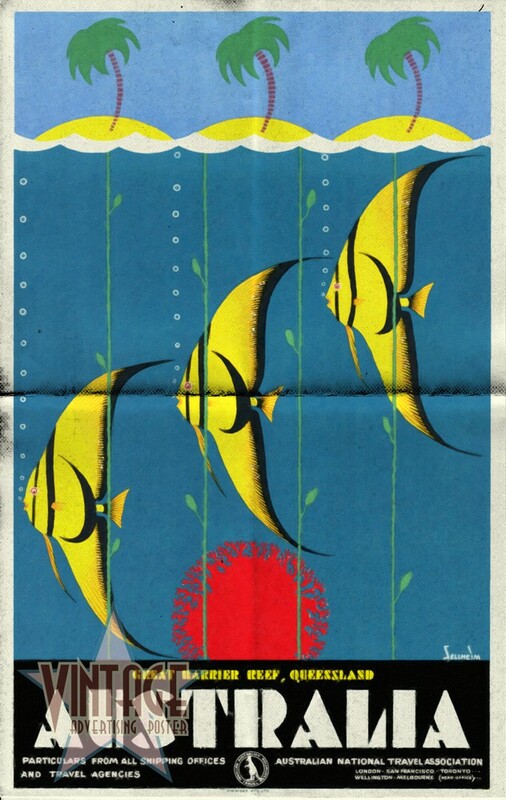 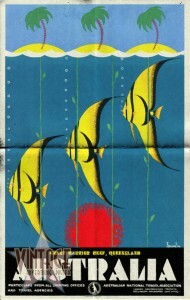 30's poster to advertise the Great Barrier Reef of Queensland. 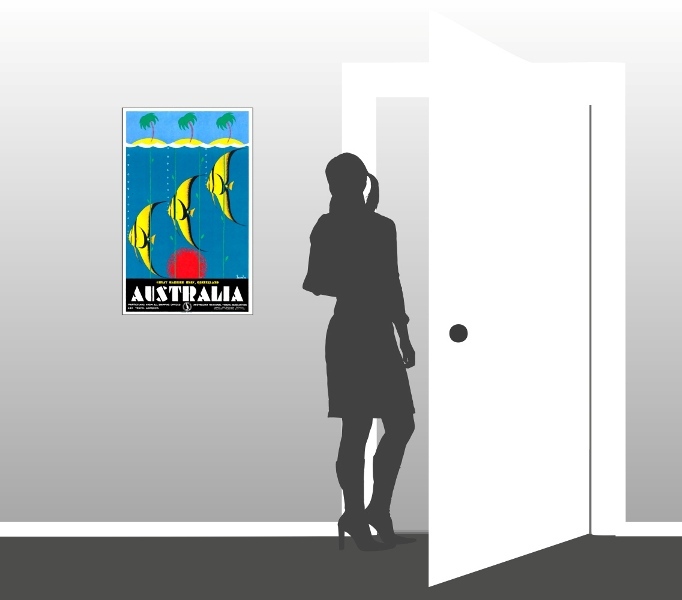 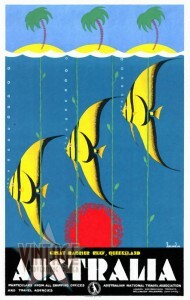 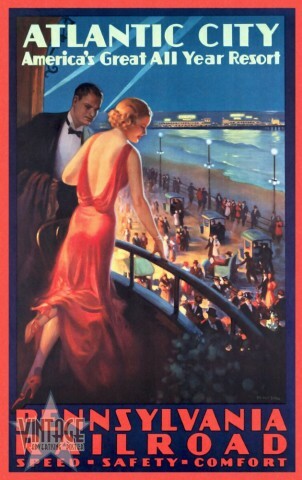 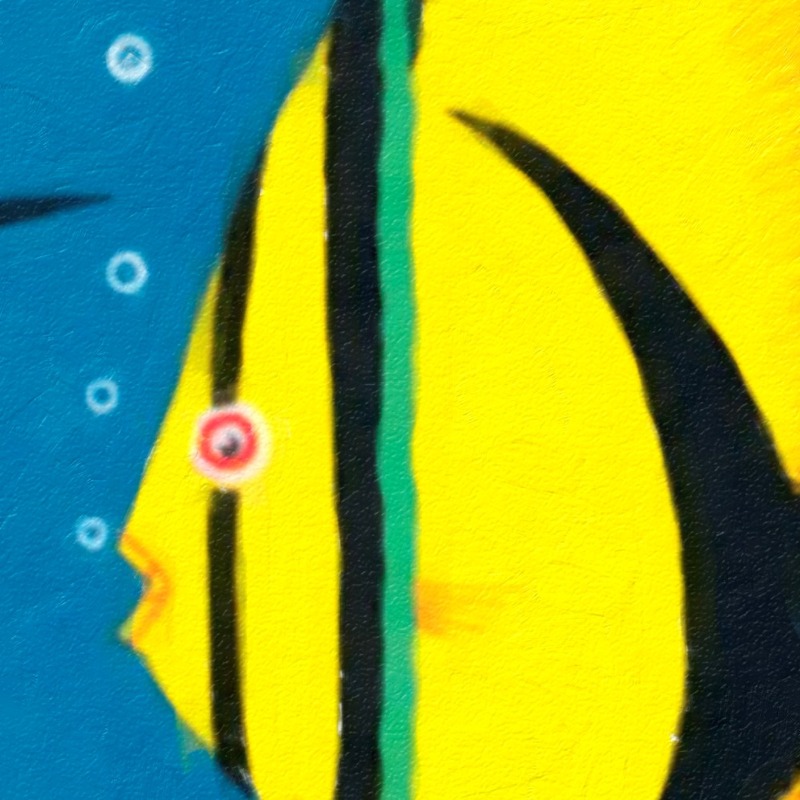 Vintage Poster to Advertise Queensland Great Barrier Reef. 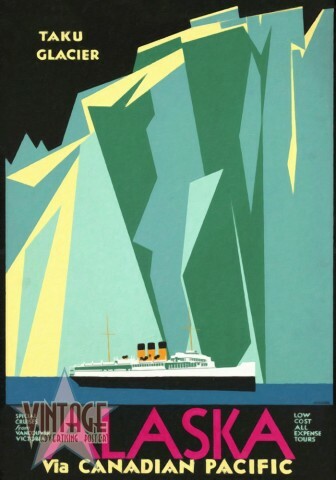 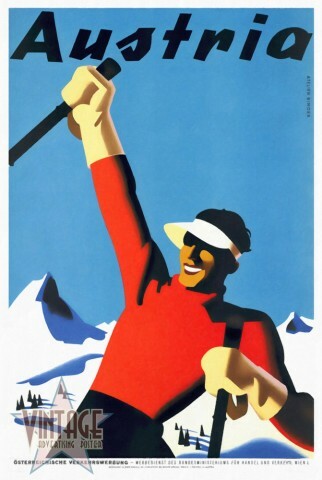 30's poster to advertise Austria Ski Tourism.